No wonder beauty consumers are beginning to demand transparency from brands. In 2017, a group of activists petitioned the U.S. Federal Drug Administration (FDA) to ban lead acetate, which is commonly found in hair dyes and has been shown to sink into the bloodstream through the scalp. In 2012, the FDA found toxic amounts of mercury in skin creams, and lead in 100 percent of the lipsticks tested, which included Dior, L’Oreal, Revlon and more. Crypto-anchor technologies are a relatively new blockchain-utilizing device, announced at IBM’s March 2018 showcase in Las Vegas. They are tiny devices embedded with a security code that can authenticate products with cryptographic signatures. “They’ll be used in tandem with blockchain’s distributed ledger technology to ensure an object’s authenticity from its point of origin to when it reaches the hands of the customer,” Arvind Krishna, Head of IBM Research, told Bitcoin Magazine. Blockchain can also be used as a foil for counterfeiting, which is rampant in the beauty industry. Refinery29 reported in April 2018 that the Los Angeles Police Department confiscated USD 700,000 in counterfeit beauty products in Santee Alley, California. The products tested positive for feces and bacteria. In addition, reports of allergic reactions to counterfeit MAC, Kylie Cosmetics and Urban Decay products sold in the area led police to seize the goods, according to CNN. 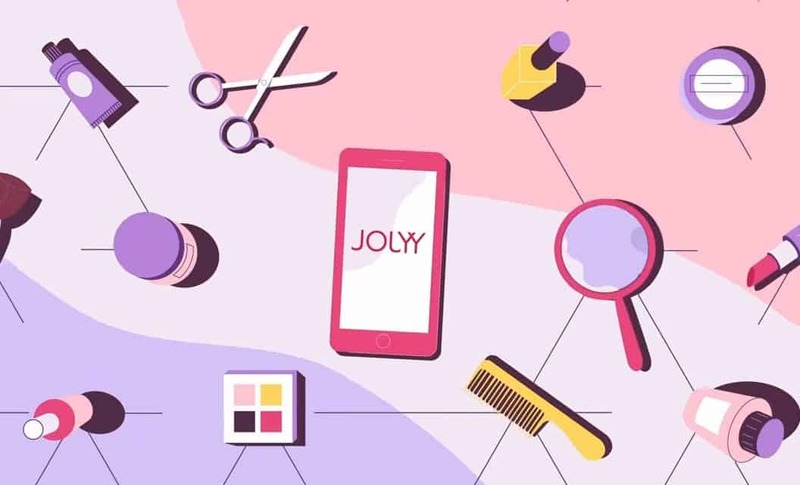 Companies such as JOLYY, a beauty appointment booking platform, are already starting to transition to blockchain technology. JOLYY announced in 2018 that they would be utilizing the blockchain in order to reap the benefits of faster transactions, more efficiency and smaller commissions for customers and salons. The new platform allows users to book appoints at any time, view available appointment slots, price compare and pay in JOLYY’s token, JOY, for which it is holding an initial coin offering (ICO) throughout 2018. “The time has come to replace the proverbial ‘mirror’ with clear glass,” says FIT’s press release. Beauty brands, such as JOLYY, are beginning to do just that. Photo courtesy of Global Cosmetic News.